After garnering rave reviews at Venice, Alfonso Cuarón’s luminously beautiful Roma arrived at the Toronto Film Festival to equal acclaim, but it was Barry Jenkins’ world premiere of If Beale Street Could Talk that garnered the most buzz on the ground. Widely considered the front-runner for the festival’s People’s Choice Award, If Beale Street Could Talk was ultimately pipped to the post by Peter Farrelly’s Green Book, the true story of a white chauffeur driving a black classical pianist across the Southern States. 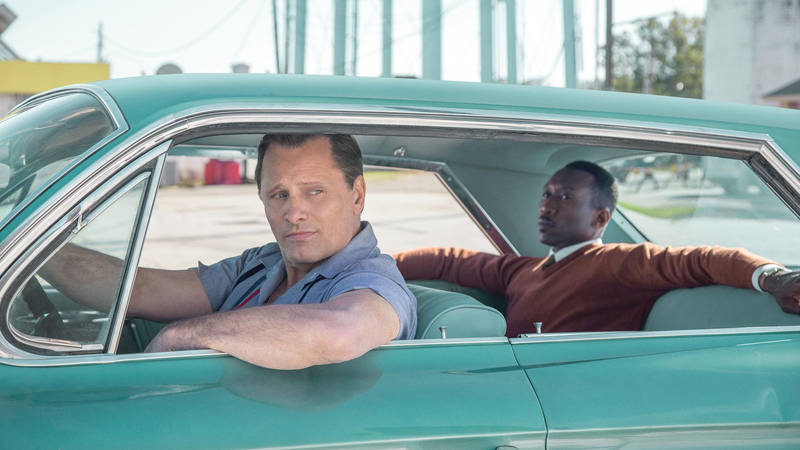 Starring Viggo Mortensen and the formidable talent Mahershala Ali, and with the People’s Choice Award under its belt, Green Book is now a real contender for the coming awards season. Outside of American cinema, Hirokazu Kore-eda’s beguiling Shoplifters arrived from Cannes, where it won the coveted Palme d’Or. A far more assured film than his previous effort, The Third Murder, Shoplifters was an astonishing reminder of why Kore-eda is considered one of the world’s greatest living directors. Toronto’s five-year plan to better represent women filmmakers continues with #shareherjourney, a campaign that has ensured that the number of women-directed films shown at year’s TIFF was 34 per cent of the total. It’s certainly better than other major film festival, but the ideal of at least 50 per cent remains some way off yet. Of that 34 per cent, Karyn Kusama’s neo-noir Destroyer was among the most divisive, splitting audiences and critics down the middle. Carol Morley’s metaphysical detective Out of Blue flick was coolly received, but with its icy blues and jazz drums, evoked the city of New Orleans and featured a terrific turn from its star Patricia Clarkson. Elsewhere, Carolina Hellsgård’s Endzeit might not have received the notices of its bigger counterparts, but the innovative eco-zombie fable will be sure to find a home with the indie horror crowd, featuring some of the most provocative ideas of the festival. Perhaps most encouraging, however, were the accolades picked up by women directors: Aäläm-Wärqe Davidian’s Fig Tree, Carmel Winters’ Float Like a Butterfly, Ash Mayfair’s The Third Wife, Bai Xue’s The Crossing ,and E. Chai Vasarhelyi and Jimmy Chin’s doc Free Solo all took home awards. At Midnight Madness, Emma Tanni’s The Wind may have lost out to The Man Who Feels No Pain, but was nevertheless rapturously received by audiences. A deliciously creepy gothic western, Tanni’s film conjures fear and claustrophobia in the vast expanse of the American plains. Similar in tone to The Witch, The Wind is sure to join the ranks of new horror cinema reinventing the genre. This year was a strong one overall for westerns. Alongside The Wind, Jacques Audiard’s delightful comic western The Sisters Brothers got the most notice, but it was South African director Jahmil X.T. Qubeka’s Sew the Winter to My Skin that truly impressed. Almost entirely dialogue free, Qubeka’s film merges genre and mythologised history in its defiant depiction of South African apartheid in the 1950s. And yet, this was arguably Netflix’s year, with a record number of entries at the fest. Among them, Jeremy Saulnier offered chills in his Alaskan-set thriller Hold the Dark, while the brutal, sweeping Outlaw King was the jewel in their crown, opening the festival with a career-best performance from Chris Pine. And it was Cuarón’s aforementioned Roma, arguably the best film the studio has produced and among the best of the year, that proves Netflix is here to stay. The Toronto International Film Festival 2018 takes place from 6-16 September.